​When running a business, marketing is one of the aspects that you can never overlook. Choosing the right tool through which you will be able to reach your target market is a major aspect that will determine if the marketing will be of benefit to your business. Traditional marketing is the use of platforms such as televisions, newspapers, radios, or even billboards to market your business. 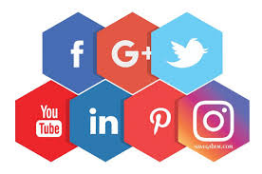 Digital marketing, on the other hand, involves the use of social media platforms like Facebook, twitter, and Instagram, business network sites such as LinkedIn, email marketing, Pop-ups, blog posts, among others. Reduced cost: the traditional methods of marketing are expensive, unlike the digital methods which can be afforded even by startup businesses. Immediate results: The traditional method will take a longer time to bring results, unlike digital methods where the impact is felt almost immediately. Non-intrusive: An advertisement posted in a newspaper can easily be ignored as they are not the main reason why people buy them. For an advert on a digital platform, one will choose to view it from her own free will. In most instances, an advert on social media will be posted where the target audience mostly frequent and will, therefore, have a bigger impact. Ease of adjustment: When your advert is on a digital platform, it will be easy to adjust it if it is not having the required impact. An advert on a traditional platform, on the other hand, will be hard to adjust even when it is not having the right impact. Ease of sharing: An advert on a digital platform can easily be shared with various followers without incurring any extra cost. An advert on a traditional platform will be impossible to transfer to another platform unless more money is spent. A business will benefit more if one will be able to take advantages of the free digital tools to market his business. Even the young entrepreneurs who do not have a startup capital can advertise their ideas on social media and grow from the adverts.